An assortment of Phillips-drive, pan-head, stainless steel machine screw variants from The Hillman Group. 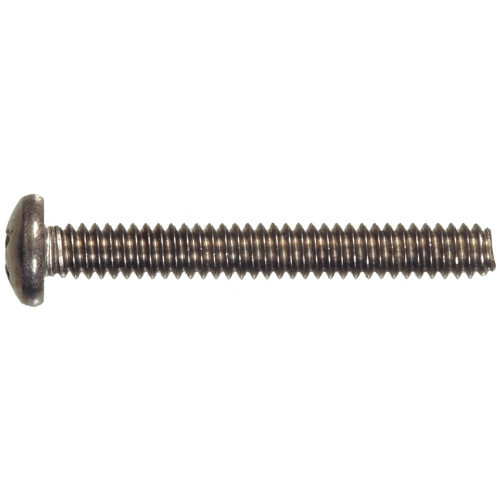 Machine screws are used in conjunction with washers and hex nuts in order to fasten metal parts together securely. 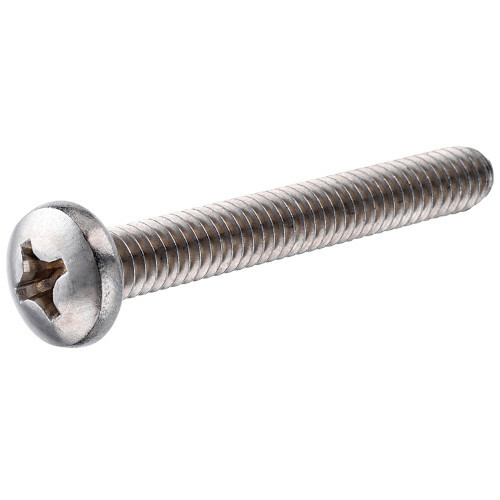 To ensure proper fit and quality of life, make sure to use machine screws with nuts of similar thread size and finish. Variants included in this assortment feature a 5/16"-18 coarse thread size and range from 3/4" to 3" in length. Full assortment contains eight (8) refills comprised of Hillman item numbers #33843 - #33850.